Wizard101 is a very popular free-to-play MMORPG, and naturally, the go-to place for your wizardry studying, once you enroll as a student with the goal of saving the Spiral! Naturally, as with any popular game, especially MMORPGs, there’s a very strict policy and ruleset in place, which players need to obey and follow, otherwise they risk getting their Wizard101 account banned. Having that said, Wizard101 accounts can be banned for a lot of reasons, but as usually, these range from allegations of cheating to displaying a toxic or negative behavior in-game. With that in mind, let’s see how you can get in touch with Support in order to appeal for your Wizard101 account unban! Now, for the “Question” field regarding your Wizard101 ban appeal, that’s where we come in handy, should you require our professional and customized Wizard101 unban service designed to get your Wizard101 account unbanned. In case, for some reason, you can’t or don’t want to log into your account in order to appeal your Wizard101 ban, here’s the second method of getting in touch with Support. As much information as possible in regards to your Wizard101 account unban appeal. Note that regardless of which of the above methods you choose, NEVER send your password or credit card information! 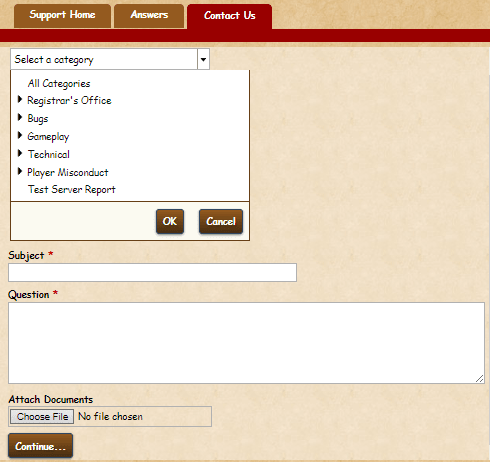 Once you’ve completed the form or the mail for your Wizard101 ban appeal, press the “Continue” button under the form, or “Send” from within your e-mail, and your ticket will be sent to their Support! Now that everything is done, wait until they review your Wizard101 account unban appeal and get back to you with their reply via mail. Also, make sure to check the Spam folder as well! Good luck! 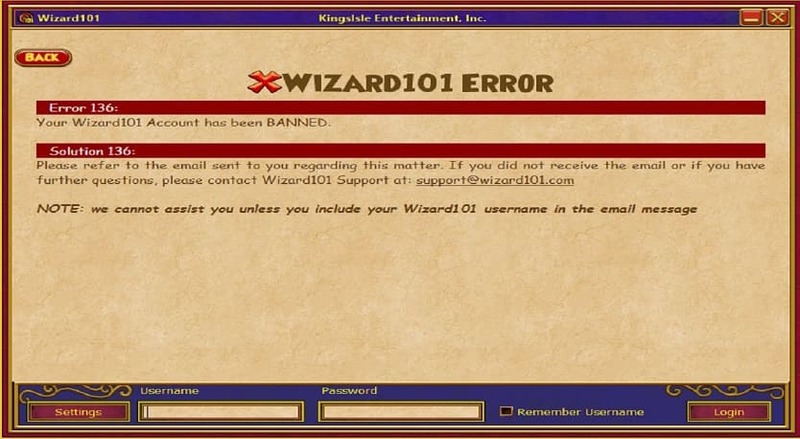 Need help with a Wizard101 account ban? We're here to give you the best help in order to get your Wizard101 account unbanned!